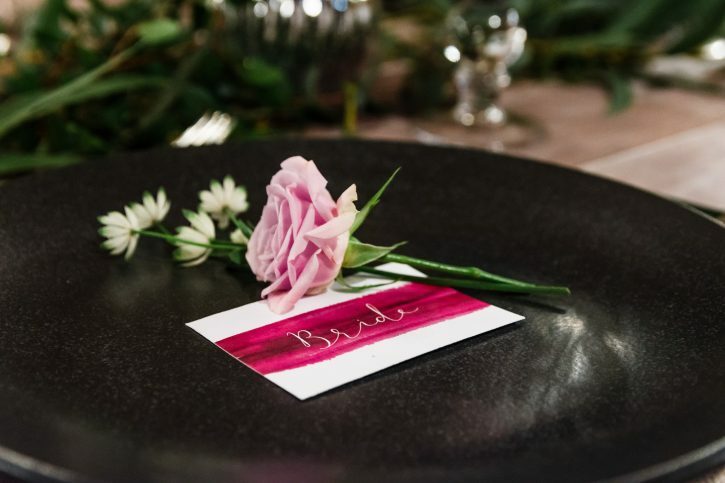 Deciding a theme for your Wedding can sometimes be difficult. 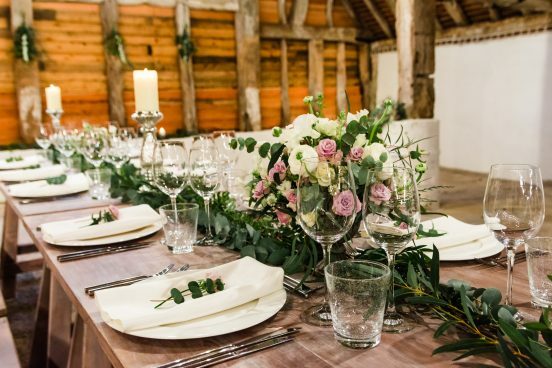 There are so many themes to choose from, whether it be rustic, traditional or vintage, the options are endless. 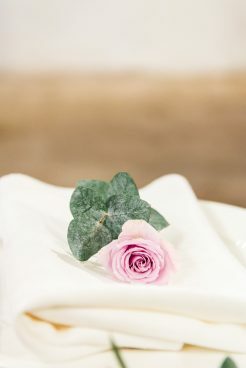 For our photoshoot in April, we decided to go with a country theme and had so much fun creating this! 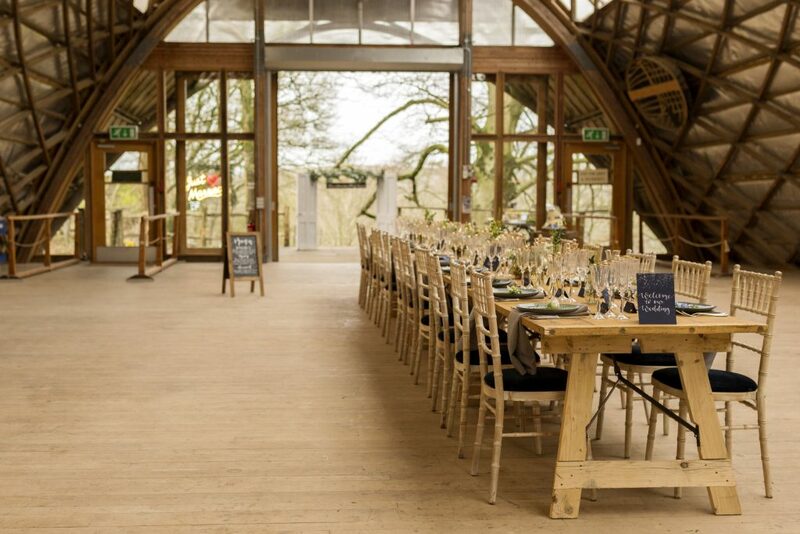 Once we chose our theme, all we had to do was find the right venue which suited this. 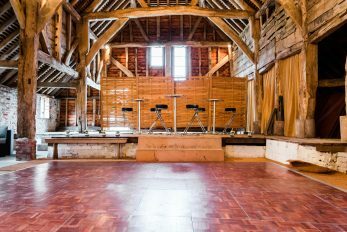 Sullington Manor Barn is a gorgeous venue which is situated in a quiet area, overlooking the South Downs and we felt this was perfect for our Country themed wedding photoshoot. 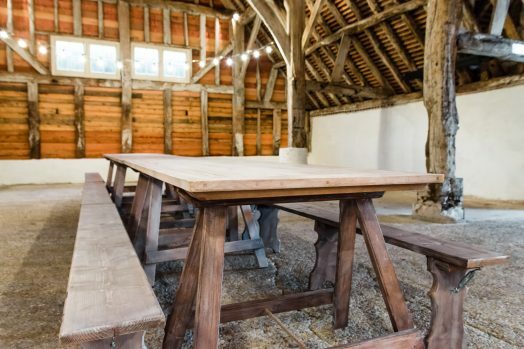 Immediately we knew that our Limewash Tables and Benches were a MUST for this shoot. 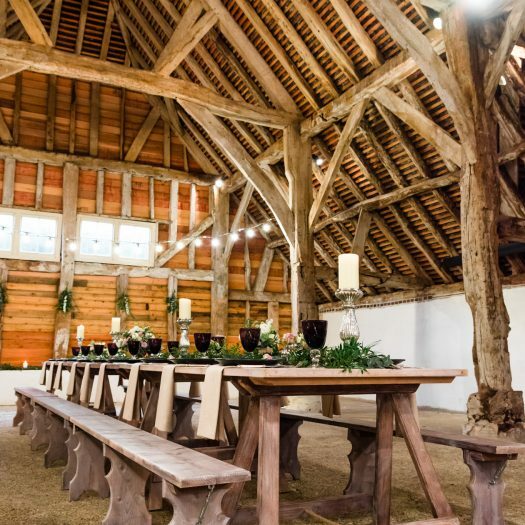 Their natural, washed, wooden finish suited the venue and theme brilliantly! 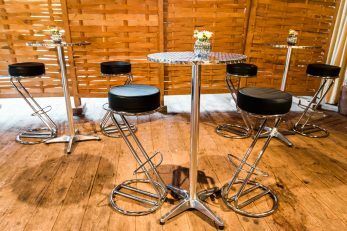 There are so many ways to style these tables and we wanted to share with you a couple of options. 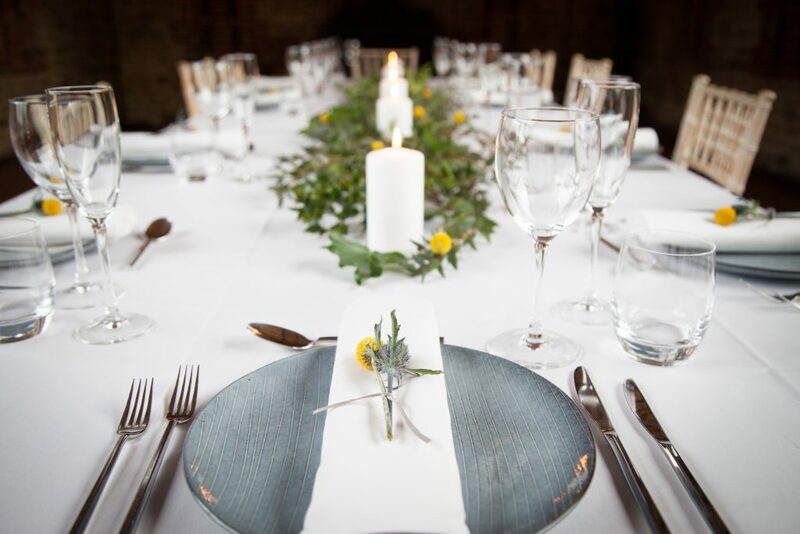 For our first table setting we wanted this to be simple yet elegant. 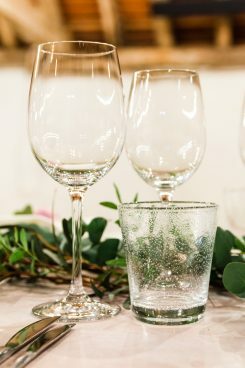 We created this look by using our beautiful Macy Bone China Plates, Infinity Cutlery, Classico Wine Glasses, Bubble Tumblers and Natural Hemp Napkins. 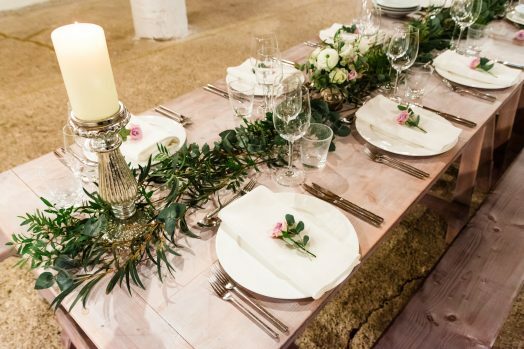 The Crazy Daisy Company completed this look with their pretty Eucalyptus Cinerea and Pink Spray Rose. How stunning does this look! 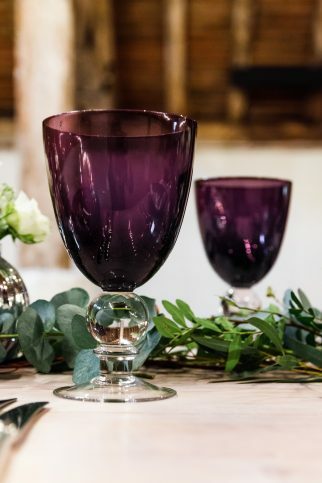 We wanted to add a bit of colour to our next set up and thought it would be nice to incorporate this using our gorgeous new Black Round Stoke Plates and Purple Glass Goblets. 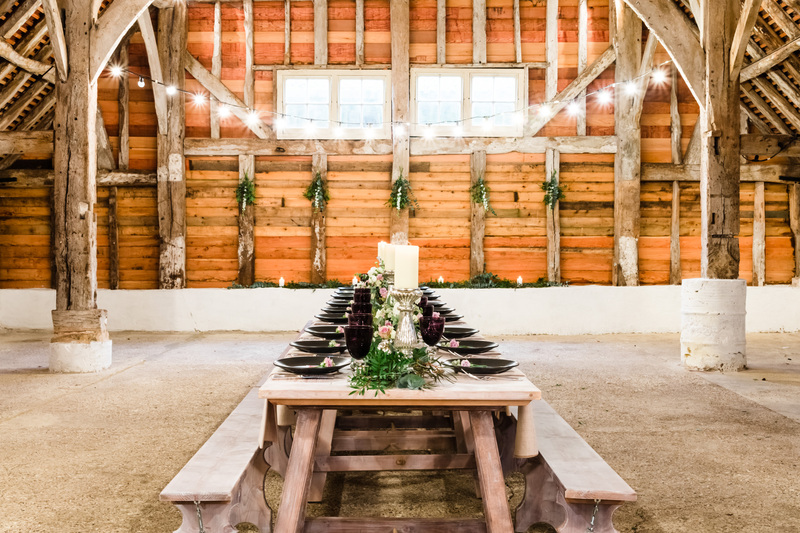 By adding a small amount of colour like this, can make such a huge difference to the overall look and wow doesn’t it look amazing! 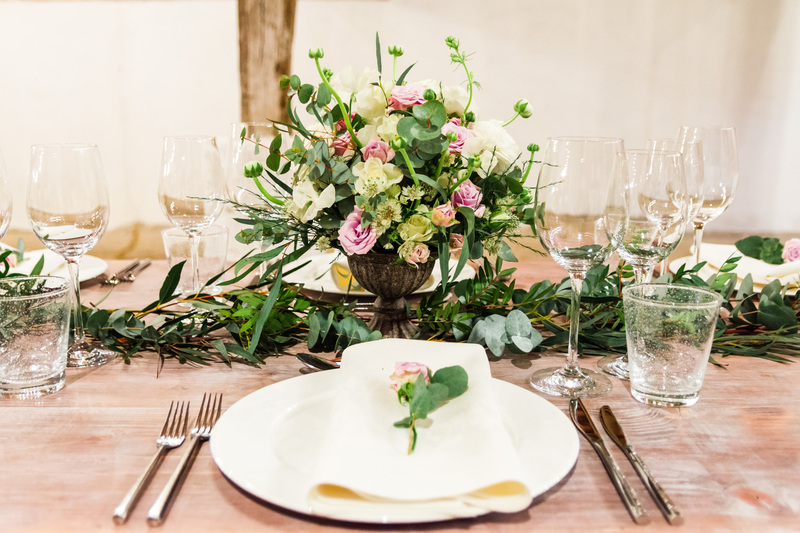 We also featured our Grecian Cutlery and Natural Straw Napkins. 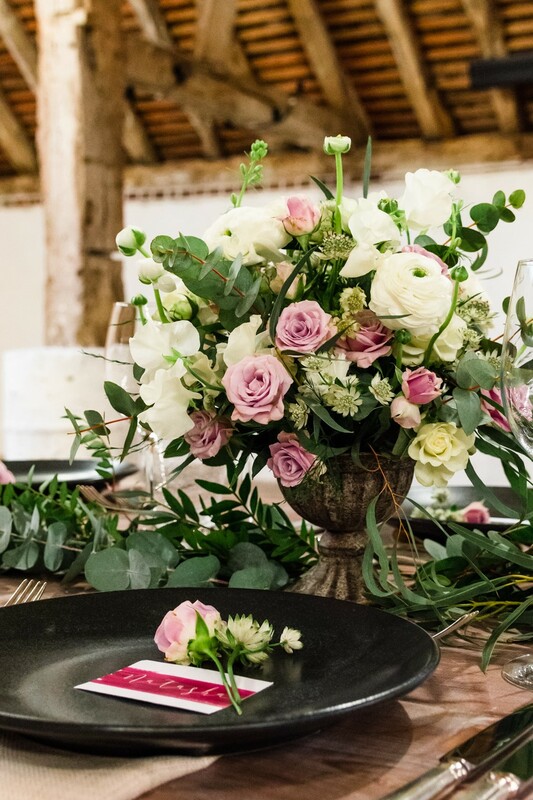 The Crazy Daisy Company placed some beautiful rustic pots down the centre of the table where they have used lots of different Eucalyptus to create a stunning country style, with Astranti, Sweet Peas, Pink and White Spray Roses. 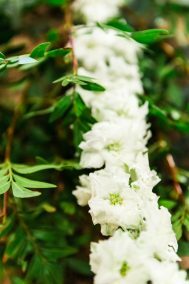 Surrounding this was a long table garland made up from an assortment of Foilage including Pistache, Cinerea, Parvi, Tree Fern and Nicholii. 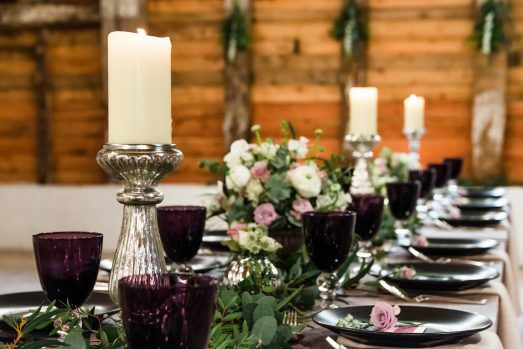 We just cant get enough of To Have & To Hire’s tall, Silver Candelabras! 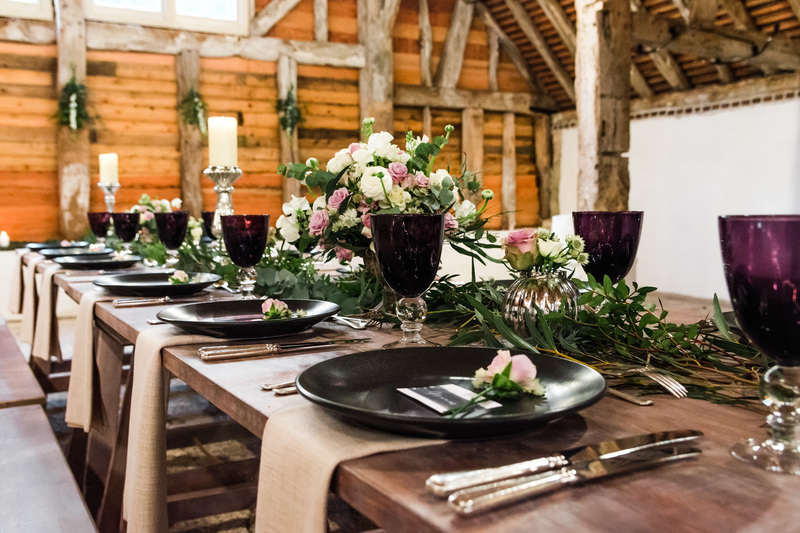 Their rustic, sophisticated look completed the overall table setting and made it feel cosy and inviting. 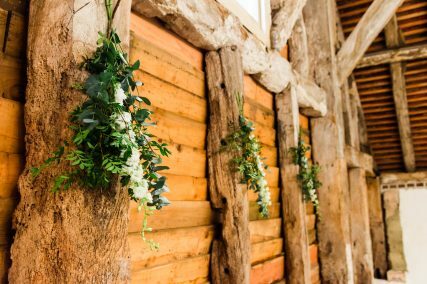 The Crazy Daisy Company also added some stunning finishing touches to the beams using an assortment of Foliage with White Delphiniums. 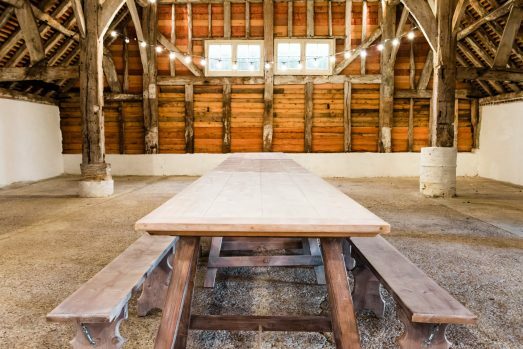 Sullington Manor Barn has a lot of space to offer and we definitely made the most of this! 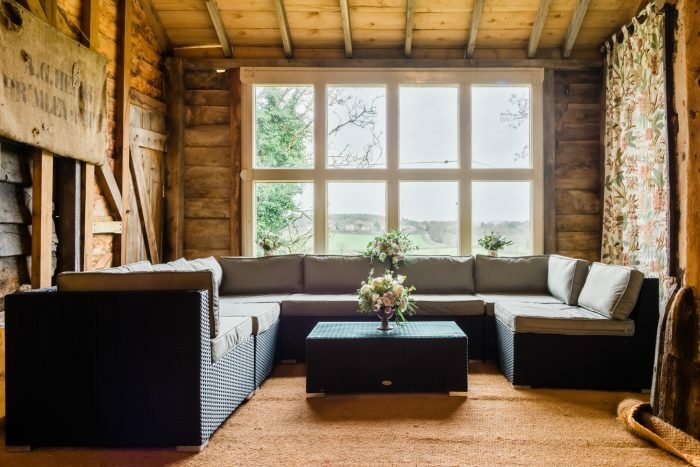 Using our Rattan Furniture we created a lovely seating area over looking the South Downs and we thought what a better way to end your evening than a boogie on our Dance Floor!!! 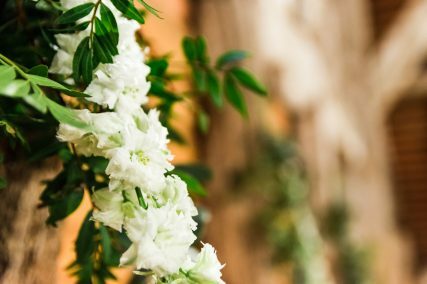 We love how crisp and clear all of these photos are. Daniel Hill’s was brilliant to work with. He took great care, making sure he captured everything down to the small detail. 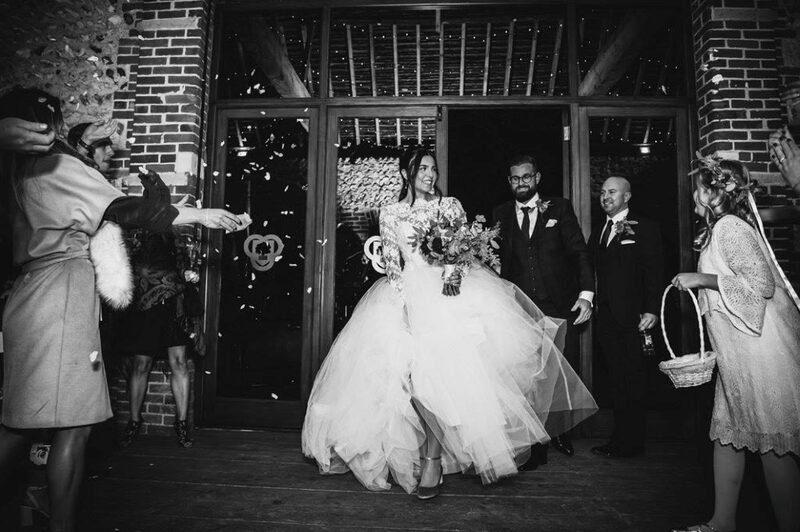 All of the above helped us bring together our vision of a perfect country wedding. 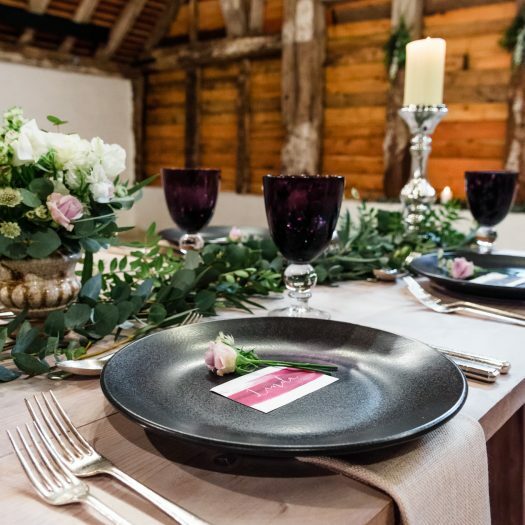 We have a huge range of products with something suitable for everyone. 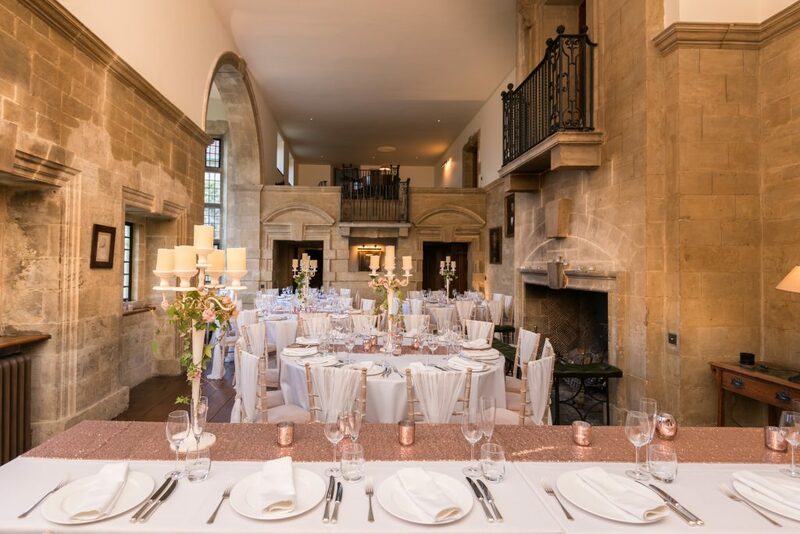 To help plan your big day take a look at our website and give us a call! 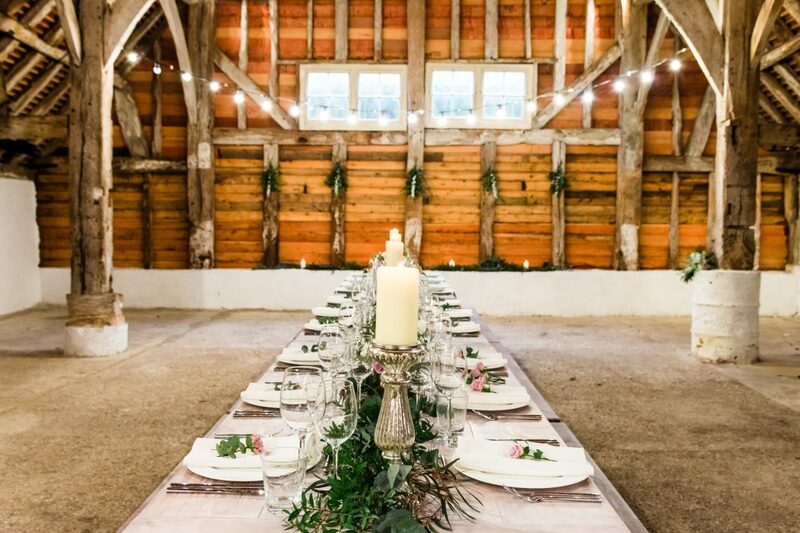 Thank you to all the suppliers who came together to make this Country Themed Wedding Photoshoot happen at Sullington Manor Barn! Everyone involved is listed below – Be sure to check them out!